Remember South Beach? Remember Atkins? Those diet crazes may have died away, but in their place is the ketogenic or “keto” plan. It is, in essence, the same as those archaic diets in that it severely limits carbs in order to push the body into rapid fat burning. The keto diet replaces carbs with fat, which on the surface, sounds great. But in reality it is pretty restrictive and some dieters have said they had trouble eating as much fat as they were supposed to. Though the keto diet definitely works when it comes to weight loss, there are side effects. Here’s what happens to your body when you do it. Let’s start with a brief description of what the diet actually entails. It relies on a process called ketosis, which is when your body uses fat for its everyday fuel rather than its preferred source, carbohydrates. When you starve your body of carbs, it turns instead to dietary and stored fat for energy. This state is called ketosis. Ketosis will, in fact, cause weight loss. But it does that by pushing the body out of its comfort zone and into its backup mode. Burning stored fat is a failsafe mechanism that is meant to carry the body through periods of starvation, but because our modern diets have clearly exceeded the calories we evolved to expect, we now understand we can use that failsafe to our advantage. Since it is not the body’s preferred way of doing things, however, there are some side effects. Most are only temporary, but regardless, most people find that they cannot stick to keto forever because it is very restrictive. Carbs are found in more than just bread. 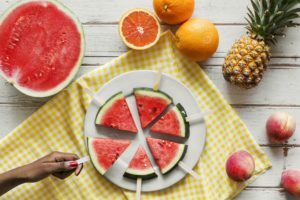 You’ll also need to eschew all sugary foods, including desserts, juices, and sodas, all fruit (except for a nibble of a berry now and again), beans and legumes, potatoes and other root vegetables, and of course pasta and rice. Add alcohol to the no-no list. Still with us? Okay, on to the results of following the keto diet. When you eat an average diet that contains more carbs, your insulin levels are higher because insulin is the chemical that processes glucose and makes it available to the cells as fuel. When your body has shifted into ketosis, insulin levels plummet because there is little for it to do. 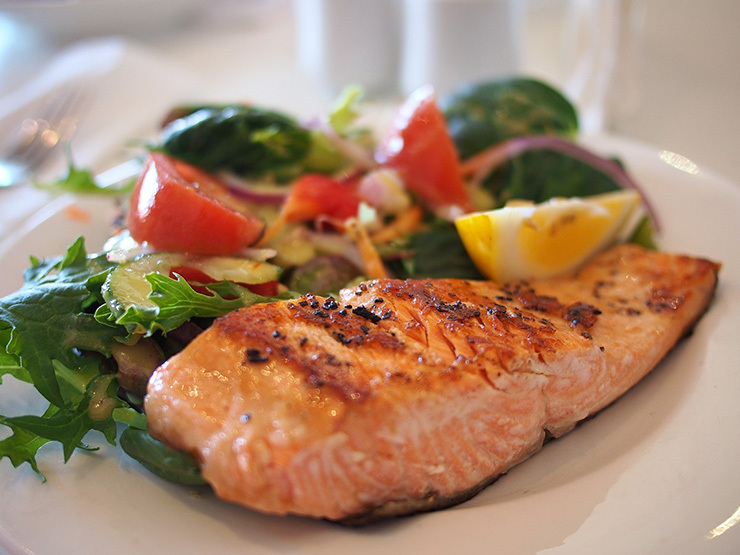 The idea is that with less insulin present, fatty acids are more easily released from fat tissue to be used as fuel. 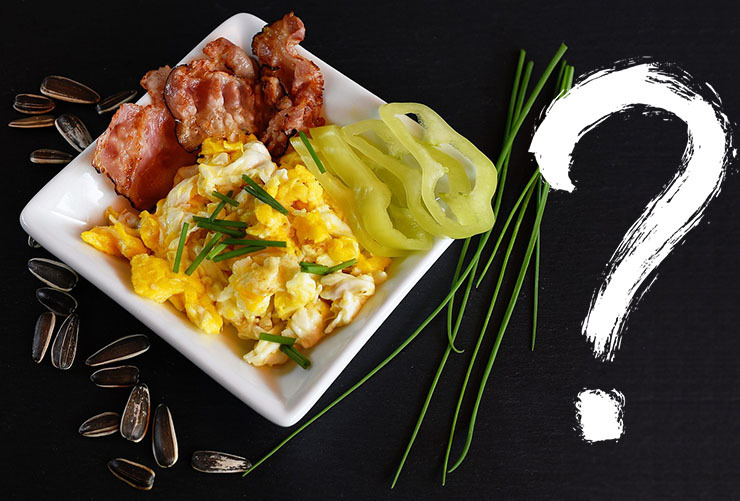 A ketogenic diet may be recommended for people with diabetes because their bodies are unable to effectively use insulin to process glucose anyway. In some cases, going into ketosis allows a diabetic to stop taking diabetic medications, or to reverse the problem of insulin resistance. The keto diet asks you to eat a lot of protein and fat, which is quite filling. While carbs serve as fast-burning fuel, protein and fat together take a long time to digest. That should keep you feeling satiated between meals. Moreover, scientists think that the elevated ketone levels in your blood play a role in suppressing the hunger centers in your brain. Cravings may diminish for that reason, but we make no promises. Giving up all sweet treats can be a struggle, especially because we often eat them not because we’re hungry, but because we want to feel happy. Remember that burning fat for everyday fuel is not your body’s preferred strategy. During the period of adjustment to ketosis, you may experience what folks are calling the “Keto Flu.” Much like the regular flu, you will experience some combination of nausea, muscle cramps, joint aches, headaches, and fatigue. You will likely start to experience these symptoms within the first few days on your new diet. If you need to take a day or two off work, try not to let slip that you gave this “flu” to yourself! Symptoms should subside within a week or so. Anyone who paints their own nails will recognize the distinct odor given off by a body in ketosis. One of the ketone bodies the liver will produce is acetone, a major component of nail polish remover. 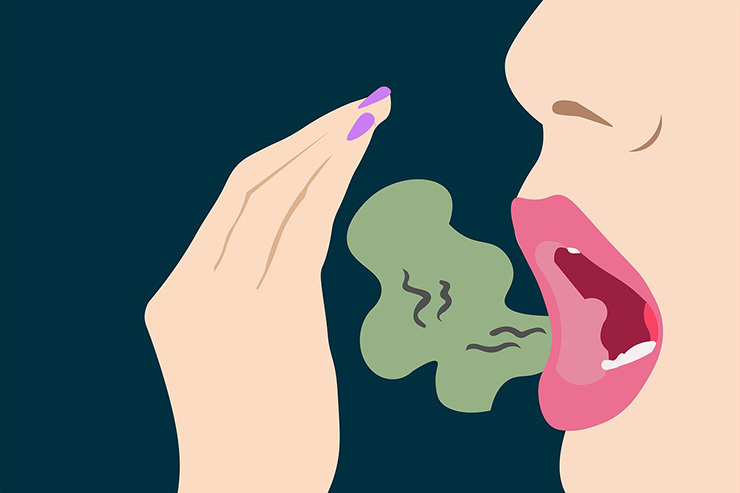 This smell can be detected on the breath of many people on keto diets. It doesn’t affect everyone, so you might be lucky in this regard, but it is still wise to keep some sugar-free breath mints or mouthwash on hand. Any major change in the food you eat is likely to throw your digestive system into chaos for a bit. In the same way that long time vegetarians get ill if they try to eat meat, drastically reducing carbs in favor of more protein and fat takes some getting used to. Moreover, when you cut out all fruit and grains, you’ll be getting a lot less fiber – hence, constipation. The recommended fix is a low-carb fiber supplement and a bump in the amount of water you drink. During the transition to ketosis, you may feel fatigue that lasts longer than the flu we talked about earlier. If you are feeling consistently weak and draggy during this time, it’s fine to scale back on your regular exercise routine and get some more sleep. Eventually though, you may find that you can increase the intensity of your workouts and experience even more productive ketosis. As we said, the keto diet does work. 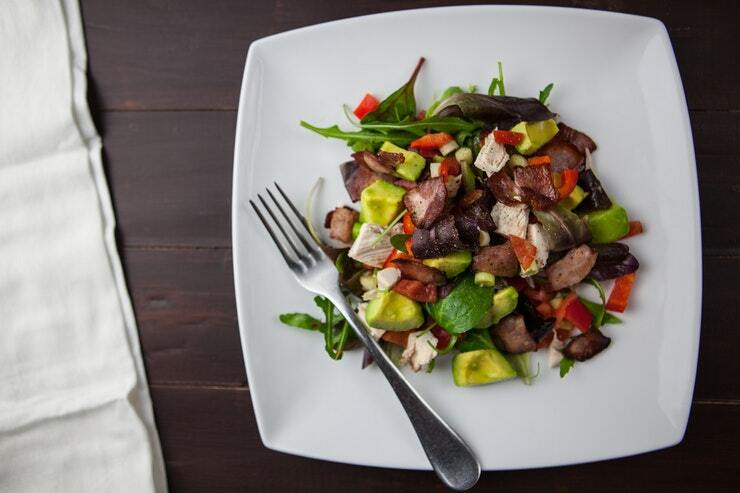 One study indicates that people on a ketogenic diet can potentially lose 2.2 times more weight than those who follow a low-fat diet. Everyone is different, and results will vary based on starting weight and whether or not you also exercise, but on average folks lose anywhere from 2-10 pounds of water weight in the first week. After that, expect a slower, sustained loss of 1-2 pounds per week. As you reach your goal weight, the loss will slow down and eventually stop, but you won’t gain weight back if you stay on the diet. If keto sounds intriguing to you, go ahead and give it a try. Not everyone experiences the same intensity of diet-related symptoms, so you might be one of the lucky ones that sail through. 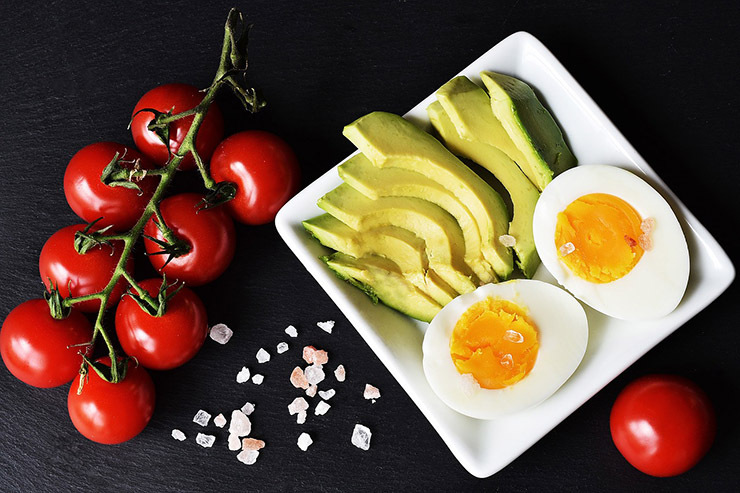 Most people find that the keto diet is too restrictive to maintain forever, and they gradually return to a more balanced diet after reaching their goal weight. Make sure to reintroduce carbs slowly, because just as it challenged your body to cut them out, learning how to use them again may take some time. You will probably also see some weight return, but if you can keep yourself off the sweet stuff and continue to eat fewer carbs than you do protein, you’ll be in much better shape than before doing keto.